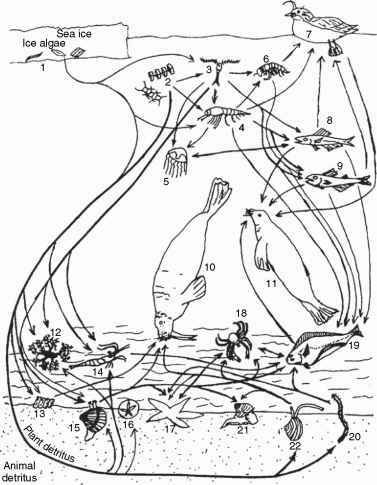 Biological integrity can be defined as the presence of a balanced, integrated, adaptive biological system having the full range of parts (genes, species, and assemblages) and processes (mutation, demography, biotic interactions, nutrient and energy dynamics, and metapopulation processes) expected for locations with little recent human activity. Inherent in this definition is that (1) living systems act over a variety of scales from individuals to landscapes; (2) a fully functioning living system includes items we can count (the parts) plus the processes that generate and maintain them; and (3) living systems are embedded in dynamic evolutionary and biogeographic contexts that influence and are influenced by their physical, chemical, and biological environments. The phrase biological integrity was first used in 1972 to establish the goal of the US Clean Water Act - to restore and maintain the chemical, physical, and biological integrity of the nation's waters. More recently, maintenance of biological or ecological integrity became a primary goal in diverse national and international contexts (the Canada National Parks Act, the United States' National Wildlife Refuge System Improvement Act, the Canada-United States Great Lakes Water Quality Agreement, the European Union's Water Framework Directive, and the Earth Charter). These initiatives have established legal, philosophical, and scientific foundations for protecting our global biological heritage. For many years, agencies and institutions responsible for implementing legislation affecting water quality neglected the biological condition of waters in favor of a focus on chemical pollutants; they assumed, erroneously, that chemical measures were an adequate surrogate of biological condition. In fact, dependence on chemical evaluations chronically underreports the extent of degradation. Studies in the United States, for example, have demonstrated that chemical evaluations typically underestimate the proportion of impaired river miles by half. Because living organisms integrate the many factors operating in their environments, biological monitoring and assessment detects the complex interactions of numerous chemical pollutants, as well as degradation caused by the full array of human influences on living systems. As a result, many government agencies and citizen groups around the world are developing programs that directly monitor and assess the condition of living systems.